Founded in 2011, UTP High Schools operates a full service international student support center across their 8 partner schools in the US. Through individualized counseling services and a network of respected university partners, they prepare students for success at American universities in the classroom. Over 2500 international students have studied with UTP. UTP also offers host family stay where international students will have an opportunity to live with an American family. They also provide drop-off and pick-up transportation for students who do not live in a walking distance from the school. 8 out of 10 UTP international students are accepted into top 100 nationally ranked universities, thanks to extensive support and guidance of the institution. International students graduate with average SAT score of 1229 out of 1600. International students achieved a GPA of 89%. 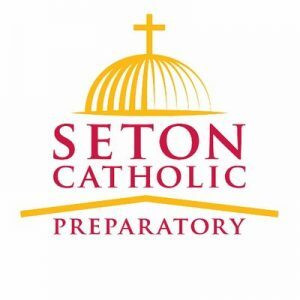 Founded in 1954, Seton Catholic Preparatory is located in Chandler, Arizona. One of the four corner states, Arizona is best known as the home of the Grand Canyon. 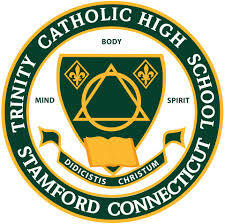 Trinity Catholic High School, founded in 2000, is located in Ocala, Florida. Known as the Sunshine State, Florida is home to the famous Disney World theme park and also plays host to 10 major league sports teams. 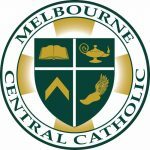 Founded in 1961, Melbourne Central Catholic is located in Melbourne, Florida. Known as the Sunshine State, Florida is home to the famous Disney World theme park and also plays host to 10 Major League Sports teams. 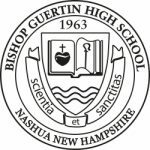 Founded in 1963, Bishop Guertin High School is located in Nashua, New Hampshire. Just one hour from Boston. Nashua is a great location for experiencing a typical American High School. From mountains to cities to beaches, Nashua is at the center of it all. Founded in 1960, Saint Thomas Aquinas is located in Dover. With some of the largest ski-mountains on the East Coast. New Hampshire offers plenty of opportunity to get involved in winter sports and other outdoor activities. 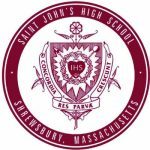 Founded in 1966, Saint John’s High School is located on Suburban Long Island to the East of New York City. Long Island is known for its friendly neighbourhoods, shopping malls, and beautiful beaches. There are also many public parks that offer outdoor activities such as bike trails, soccer fields, golf courses, and tennis courts. 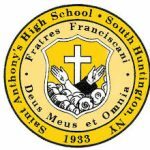 Founded in 1933, Saint Anthony’s High School is located on Suburban Long Island to the East of New York City. Long Island is known for its friendly neighbourhoods, shopping malls, and beautiful beaches. There are also many public parks that offer outdoor activities such as bike trails, soccer fields, golf courses, and tennis courts. Founded in 1953, Fairmont Private Schools are located in Sunny Orange County in Southern California. Less than one hour from Los Angeles International Airport. Fairmont offers two accommodation options: Fairmont Homestay, Fairmont Boarding. The Homestay program offers international students the opportunity to live with an American family. Kindergarten - 5th Grade Immersion Program - Provides support for English Language learners to succeed in the school’s advanced mainstream classes. Foundation Program (Grades 6-11) - Students not yet met the English language proficiency requirements for the International Foundation Year. International Foundational Year (Grades 6-11) - Designed for international students with an intermediate and low-advanced level of English Proficiency. Direct Entry (Grades 6-11) - For International students with an advanced level of language proficiency who require minimal language support and wish to earn a Fairmont Preparatory Academy Diploma.